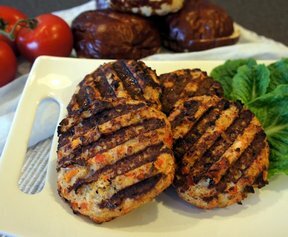 When you can't decide on pizza or burgers for dinner, how about combining the flavors of both in these tasty family-pleasing turkey burgers. 1. Mix ground turkey and seasonings in medium bowl until well blended. Shape into 4 patties. 2. Grill over medium heat 4 to 6 minutes per side or until burgers are cooked through (internal temperature of 165°F). Add pizza sauce and cheese to burgers 1 minute before cooking is completed. Toast rolls on the grill, open-side down, about 30 seconds. 3. Serve burgers on toasted rolls.